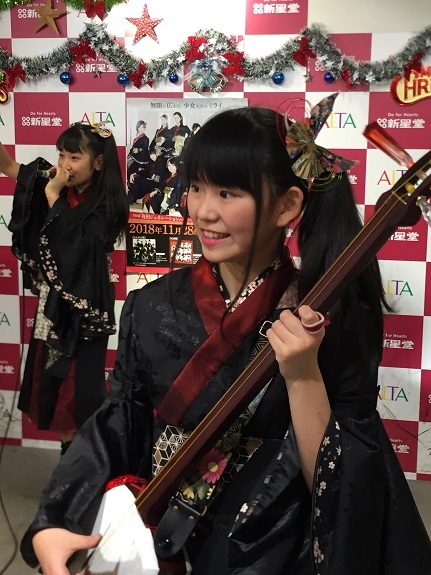 Mingaru have been performing everyday this week in support of their new single “Mirai,” which released on Wednesday. 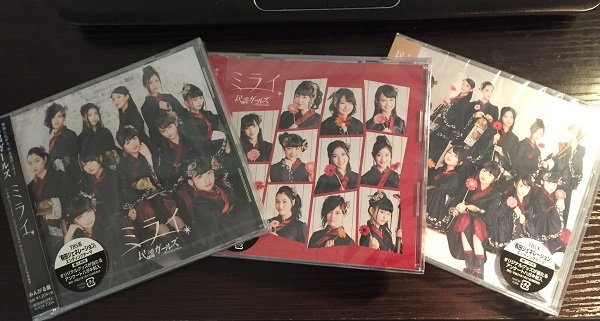 As I mentioned, I had a lot on my plate this week, but I really wanted to attend at least one of their lives since I had only pre-ordered two of the three versions of the single, so I wanted to make sure I had the complete set. 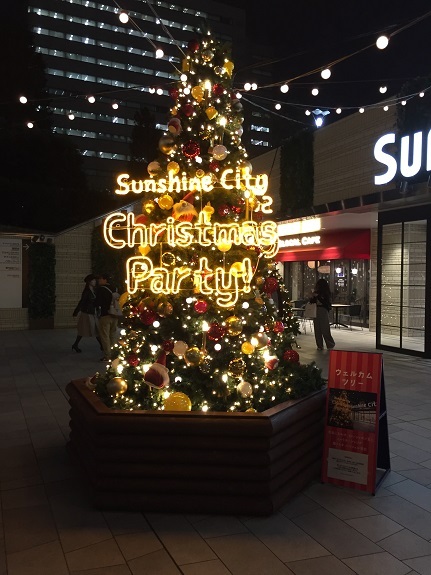 Although I had a big essay to write and a big test to study for Wednesday night, I decided to take a break and head over to Sunshine City for a couple hours. After all, it isn’t far from my apartment, and I could have dinner while I was there. 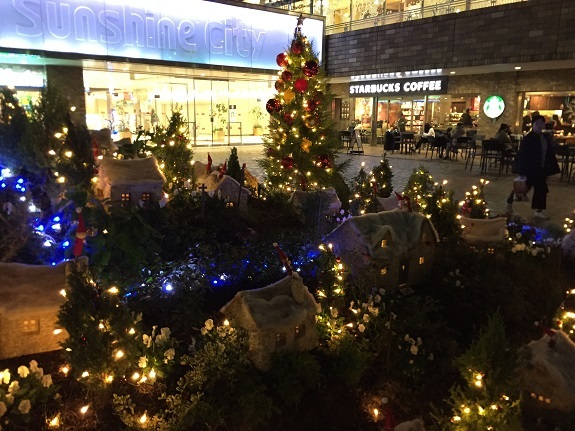 Wow, Toshi does mini-lives at Sunshine City??? I mean there was nothing mini about this live event. The crowd was exponentially bigger than for any artist I have seen there. I had time, and the event was about to begin, so I decided to stick around for at least a few minutes. Just then the girl next to me started talking to me. She asked if I knew who the artist was, and if I was a fan of X Japan. I told her I knew who Toshi was, but I wouldn’t call myself an X Japan fan by any stretch. I just wanted to see some of the live before I went to where I needed to be. 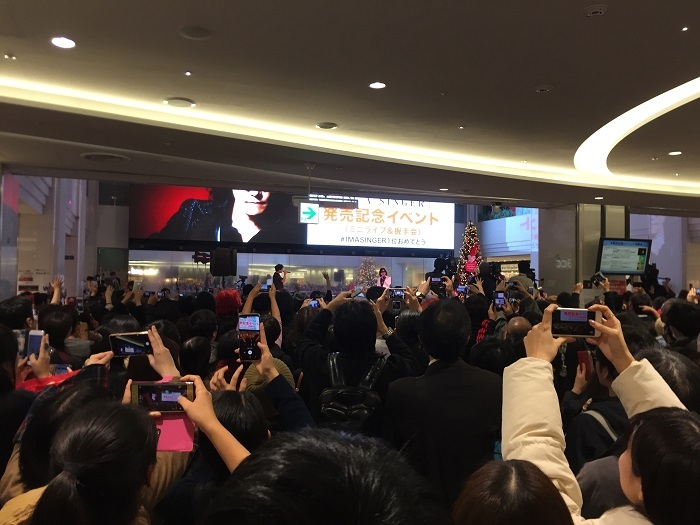 Unfortunately for me, they started the event late, and first played the MV for the single from his new album. It wasn’t until almost 15 minutes in that Toshi finally made his first appearance. I was a really far back, and everyone had their cameras raised in the air, but I snapped a couple of long-distance pics and was on my way. 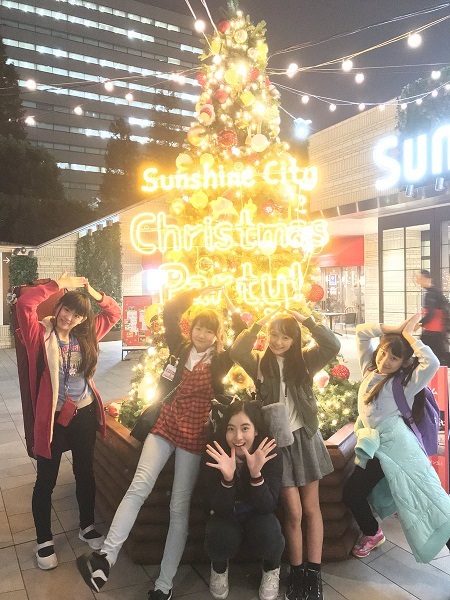 Of all the members in Minyo Girls, the one I have known the longest is Yutori. In fact, she is the first member I ever took a photo with. She is also one of the more talkative members when she interacts with me, and she always takes the time to say hello to me at events, despite the fact that I rarely go to her for chekis. Once again, the moment she saw me she came right up and acknowledged me with a big smile. Oh, and she is also learning English. She is the member I should oshi, but don’t. I do like her though. 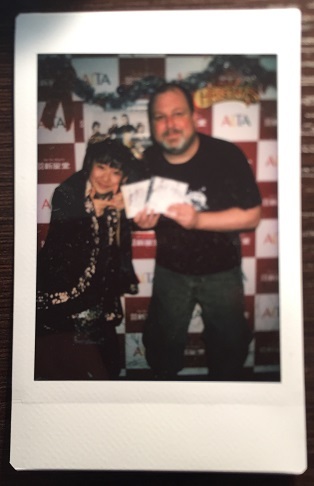 So I decided before the event even started that instead of doing two chekis with Ramukyun, I would do one each with Ramu and Yutori. 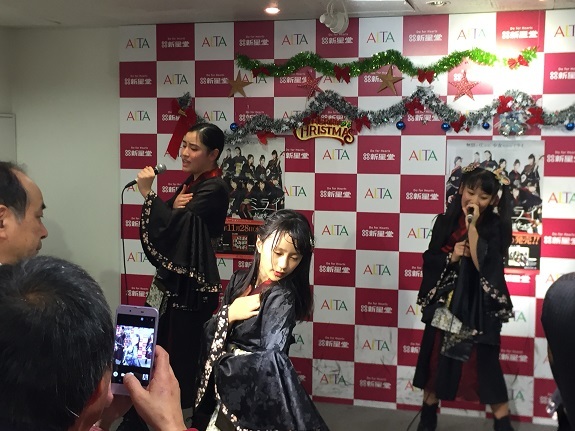 After opening with one of my favorites of their songs, Akita Ondo, they mainly performed songs from the new single. 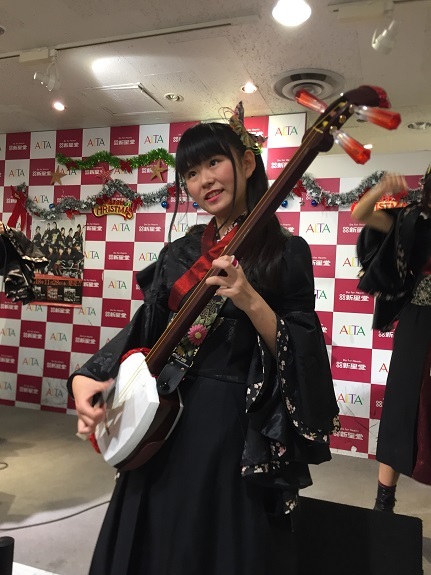 Actually, only Yutori, Rina and Minori sang, Ramukyun played her shamisen in front of the stage, and Ryo danced along side of her. This meant that I was literally inches away from Ramu for the entire show. I actually felt kinda bad, since I knew there were Ramu fans behind me, so I would eventually shuffle a bit to the right to let other people see her, and during the photo-op portion of the show I actually moved back and let some of the fans move up into my position to get closeup shots. Although I mainly took pictures of Ramukyun, I did manage to get at least a couple shots of the other members too. Once the live ended they set up for benefits. 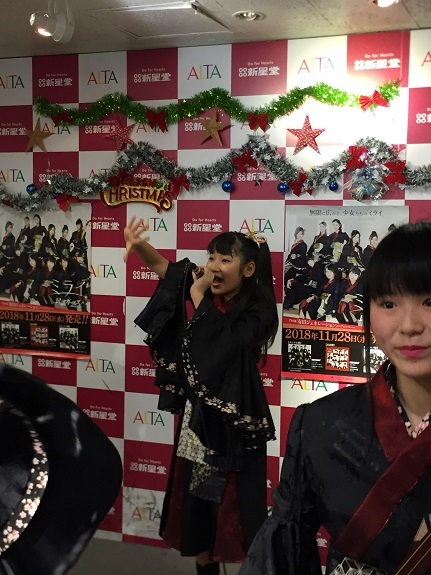 The group shamekai were first, followed by the individual members. I decided I would visit whichever of the two members I wanted was available. 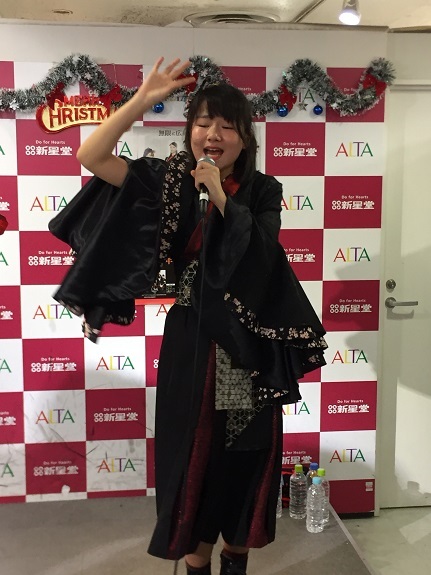 So i chose Yutori, just as they asked her to MC and promote the event. When it was my turn they sent me up to where Ramu had just finished, and she thought I was coming to her. 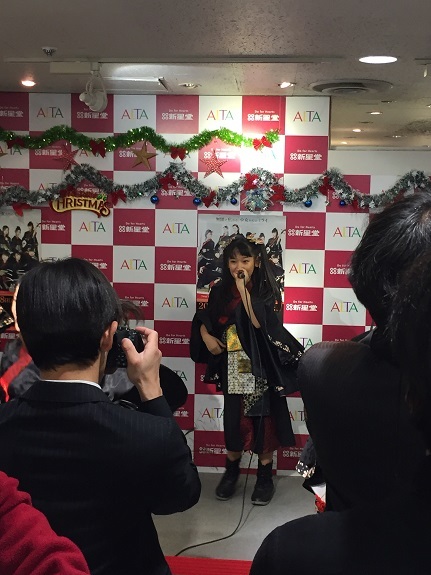 She began to thank me, when the manager said “No, he is seeing Yutori.” Ramu was like “Oh..” But I immediately said “It’s okay Ramukyun, I’m coming to see you next!” In the meantime Yutori was thanking me profusely for picking her. I asked if she was still practicing her English, which she affirmed. I reminded her that I responded to some of her English Twitter posts, to which she told me that she saw my replies. I started to walk away, but she kept saying “don’t leave yet, come back!” I didn’t realize that they were allowing more time than usual. When I watched a few other people I realized I cut myself short. 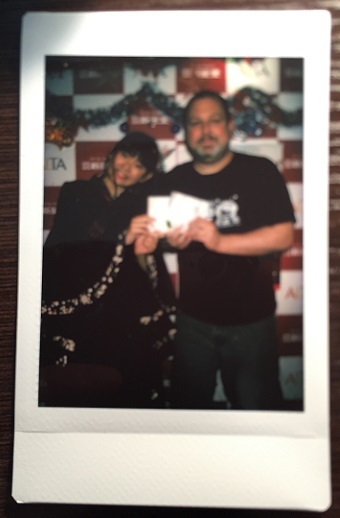 All the Minyo Girls are extremely gracious when you pick them for chekis, but Yutori is one of the most personable of all the members, even more so than the members I usually go to. But like with Ramu, I have a limited budget I allow myself for this group, and I am not going to oshihen off of Miyabi or Yuua, so Ramu and Yutori will continue to be my backup girls. I immediately re-queued, and was sure to pick Ramu this time. Unfortunately for me the two guys in front of me also picked her, so I would have to wait a little bit. 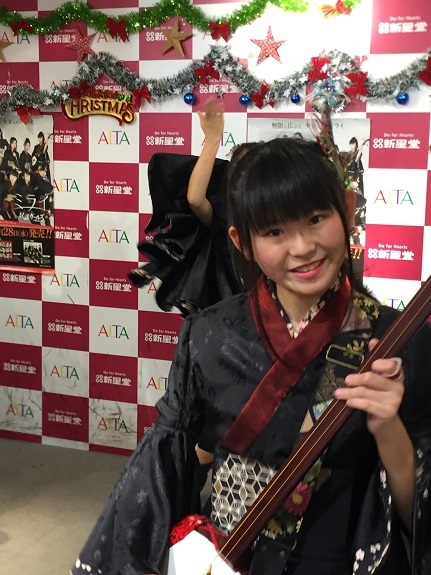 When it was my turn, like with Yutori, I decided to use the CDs as a prop, and just before the shot Ramu put her head on my shoulder. Ehhh????? Ya know, Miyabi has acted similarly with me in the past as well, once leaning her head close to my shoulder, and a couple of times “connecting” our peace signs. Ultimately it’s cute, but a little dangerous considering how young they are. 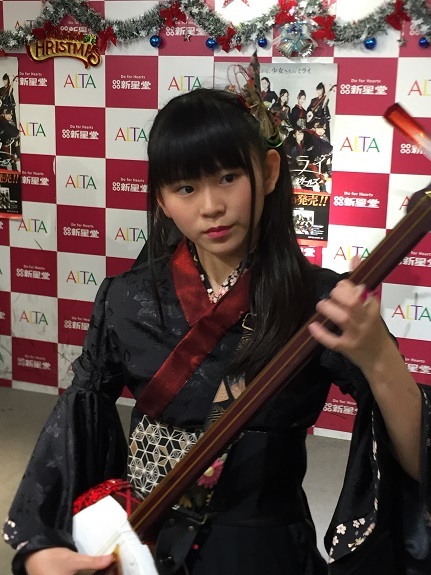 In any case, I told Ramu that I positioned myself so I could watch and listen to her shamisen, and I told her that her playing is getting really good. In true “Ramu fashion,” she just smiled, and repeatedly thanked me in her little sing-song way. I mean she doesn’t have personality like Yutori, or Miyabi have, but there is just something unique about the way she acts with fans. It’s like she is so stiff and robotic that it becomes endearing. Anyway, I bailed for dinner right after my chekis. I needed to get home to start my essay anyway. I am debating which of their next events I want to attend. 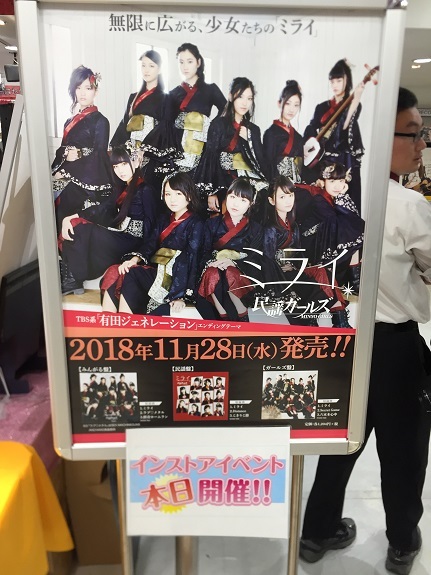 They have a mini-live in Tachikawa tomorrow, and another in Saitama next week. I am leaning toward Saitama since it’s a little closer to where I live, but I will wait for them to announce who is appearing. And I will report on their one-man live from last week in the next couple of days.